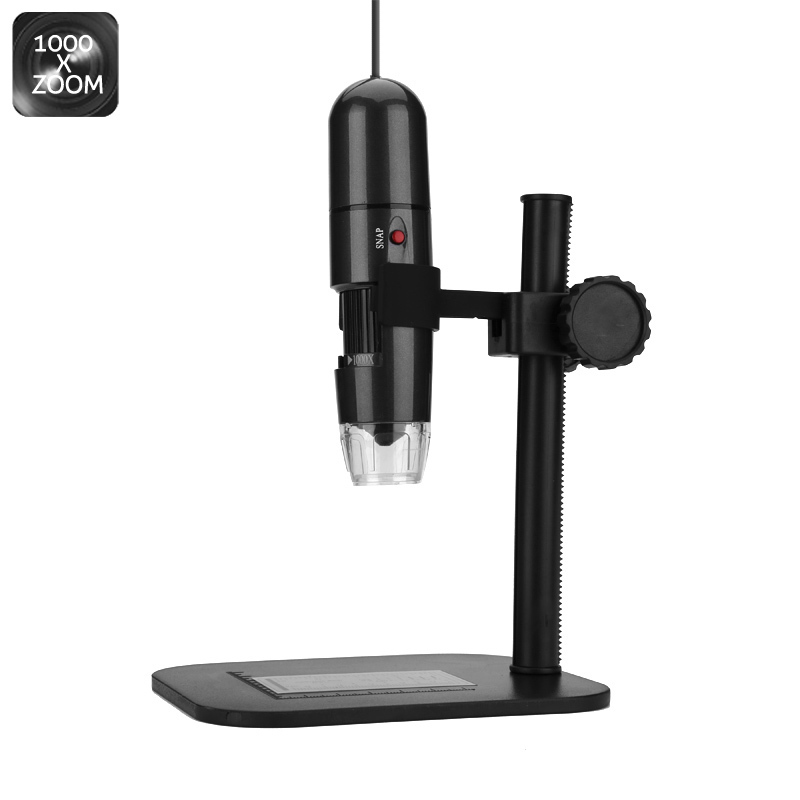 Successfully Added S10 USB Digital Microscope - 1000 Zoom, 1.0 MP CMOS Sensor, 8 LED Lights, 600 Lux, 0 To 40mm Focal Range to your Shopping Cart. The S10 USB digital microscope beings advanced vision so you can see the minutest details in perfect clarity. A 1.0MP CMOS sensor brings high optical resolutions allowing the S10 to deliver still images and video capture at up to 1600x1200 resolutions. A magnification range lets you zoom in from 50 up to 1000 times and the high-speed DSP controller ensures you're firmly in the driving seat with quick responsive command of the microscope. The focal range is between 0 to 40 mm and can be easily adjusted with the stand that allows for precision refinements. A calibration ruler and software CD ensures a quick and easy set up while compatibility with Windows XP, Vista, Win 7 and Win 8 means the S10 will work with most desktop and laptop computers. To illuminate your vision the S10 has 8 built in white LEDs that pu8nmp out 600 lux of brightness making it easier to examine any object in minuscule detail. Letting you get to grips with the microscopic world around you this affordable LED microscope is a great educations tool that is perfect for igniting the passion of science in your children or for enhancing your laboratory or workbench with the latest state of the art visual technology. 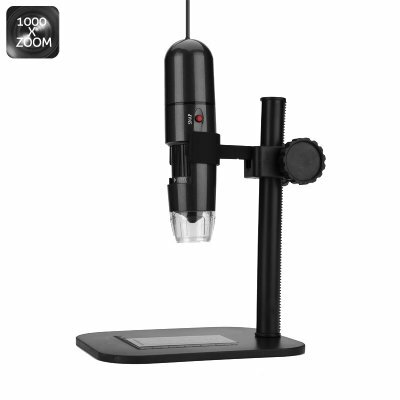 Perfect for children, electrical engineers, jewelers, watchmakers, chemists, biologists and more, this USB digital microscope comes with 12 months warranty, brought to you by the leader in electronic devices as well as wholesale USB microscopes..
Foreign Language Keywords Arabic: - مجهر رقمي USB - Chinese Simplified: - USB 数码显微镜 - Czech: - USB Digitální mikroskop - Danish: - USB Digital Microscope - Dutch: - USB digitale Microscoop - French: - Microscope numérique USB - German: - USB Digital Mikroskop - Hebrew: - מיקרוסקופ דיגיטלי USB - Hindi: - USB डिजिटल माइक्रोस्कोप - Italian: - Microscopio digitale USB - Japanese: - USB デジタル顕微鏡 - Korean: - USB 디지털 현미경 - Malay: - USB Digital mikroskop - Norwegian: - USB Digital Microscope - Romanian: - USB microscop Digital - Russian: - USB цифровой микроскоп - Spanish: - Microscopio Digital USB - Thai: - กล้องจุลทรรศน์ดิจิตอล USB - Turkish: - USB dijital mikroskop - Vietnamese: - USB kính hiển vi kỹ thuật số.